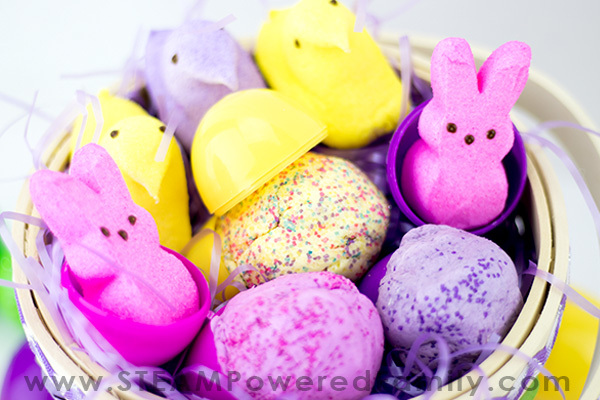 We love playing with marshmallows, and at this time of year a new marshmallow treat appears – PEEPS! 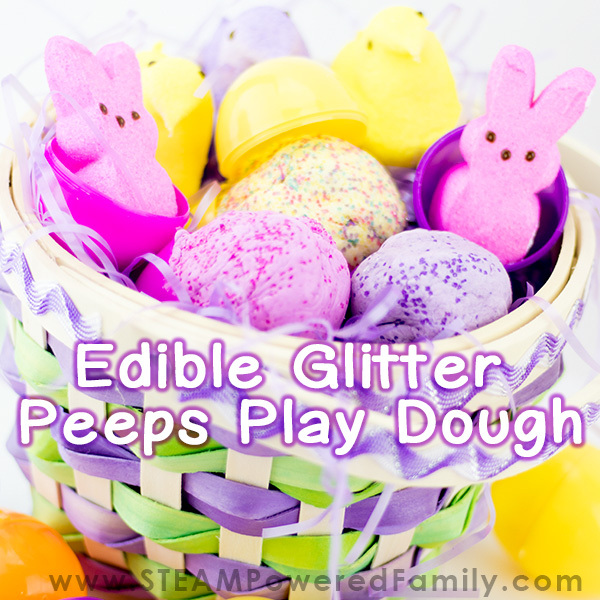 My kids love them and we came up with this great edible playdough recipe with glitter, perfect for Easter! 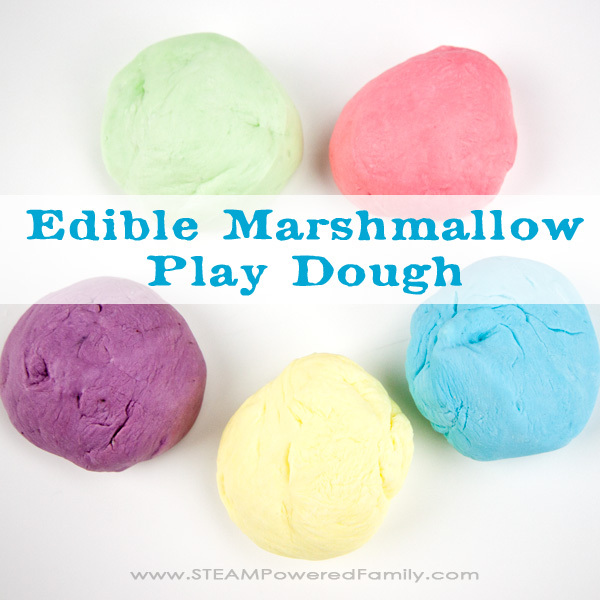 When we set out to make this playdough I wasn’t sure how it would turn out, but it was tons of fun! The biggest challenge was making it before the kids ate all the Peeps. Before we start – a definition of edible! This playdough is not meant to replace your child’s snack. I don’t recommend letting your child eat it as a treat. When I say edible, I mean it is taste safe. If your little one is curious and enjoying some sensory play, and wants to explore their sense of taste, this playdough is safe. Does it taste good? Well the jury is split here. One kid likes it, one hates it. I found the texture very rubbery and not really satisfying. I suggest you keep a few Peeps to the side for eating and save the playdough for playing. One more warning, making the playdough involves working with very hot sugars. Please use appropriate caution and safety protocols at all times. This recipe should only be done by an adult, or by an older child under the supervision of a responsible adult. In a dish or shallow sided bowl mix 3 tablespoons of cornstarch to 1 tablespoon of icing sugar. Mix well and set to the side. In a large heat and microwave safe container (I used a 2 cup Pyrex measuring cup), place 5 or 6 Peeps plus a tablespoon of coconut oil. If you want your playdough extra bright, add 2 drops of food colouring. Microwave for about 40 seconds, stopping after every 10-15 seconds. This is important because… SCIENCE! 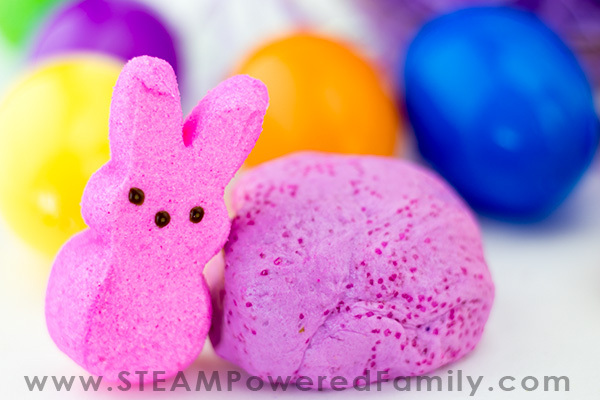 When heating the Peeps, which are essentially marshmallows, the air trapped inside the marshmallows expands and stretches the sugar structure of the marshmallow, just like when you blow into a balloon. This causes the whole Peep to grow and expand like crazy! If you don’t pause and let it “deflate” they can rupture or overflow and basically cause a big mess. 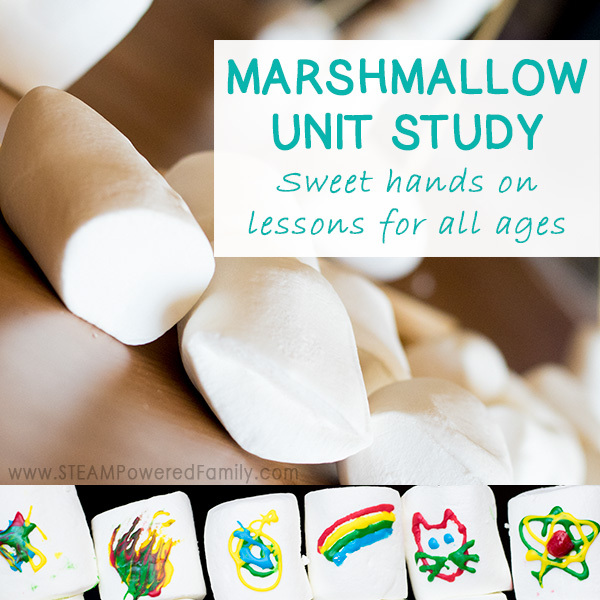 For more on this marshmallow science check out the experiment we did on growing marshmallows. After your Peeps have been heated through mix carefully with a spoon until it all clumps together (some oil will be left in the bottom of the container). Carefully transfer the Peeps mixture to the bowl with icing sugar and cornstarch. Be careful, it is hot! Sprinkle some of the icing sugar and cornstarch mixture over the Peeps and let cool for about 30 seconds to a minute. Once cool enough to touch, start kneading and working the powder mixture into the Peeps mixture. Once it isn’t sticky pick it up and continue kneading. If it gets sticky add a bit more powder. The final step is to sprinkle some coloured sugar crystals on a plate and roll the playdough on the plate. Knead to work the crystals into the playdough. Add a little or add a lot! We even mixed our sugar crystals to make multi-coloured glitter in our playdough. 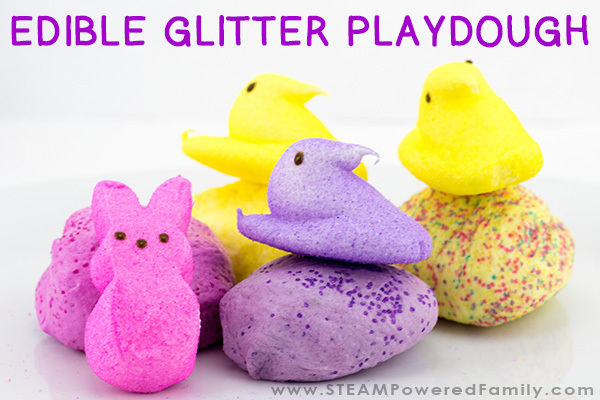 Your edible playdough with glitter is now ready to play! TIP! If you find your playdough is crumbly or really stiff, you need to use more oil. Play with your playdough just like you would normally. If you have kids who love to explore with all their senses (aka – taste everything), you can let them explore! Great for little ones that are just learning about their world, but older kids will love it too. Store in an airtight container. I found it really doesn’t last long. Once it is exposed to air it will start to harden in about 24 hours. But kids love exploring with it as a fun treat. 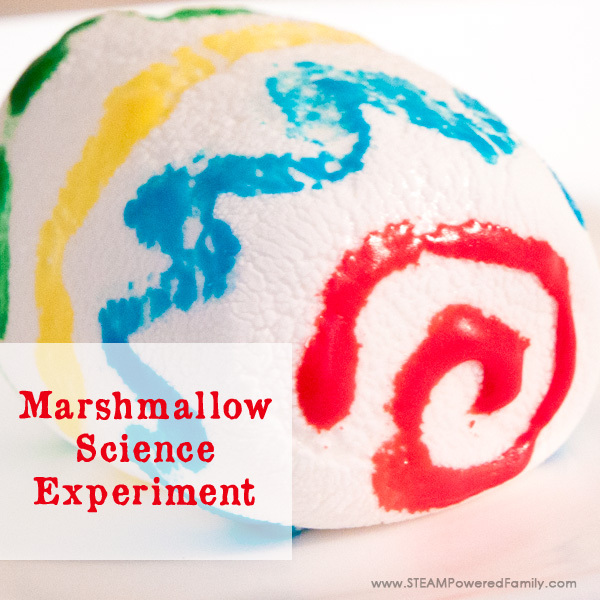 And it only takes a few minutes to make, so it is great for those days when the kids are driving you crazy and need something new and fun to do. 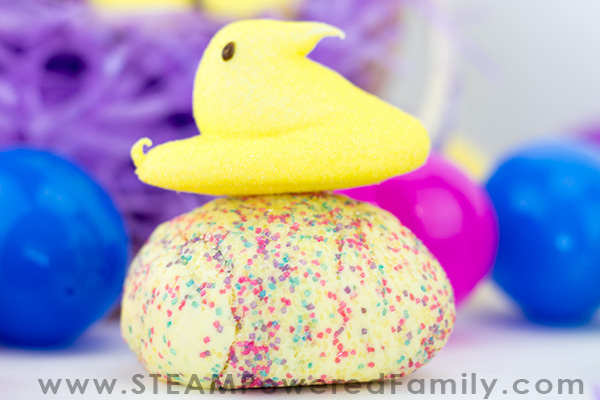 Just make sure you show them the Peeps (or Marshmallows), expanding like crazy in the microwave! Around here is a highly anticipated spectator event! 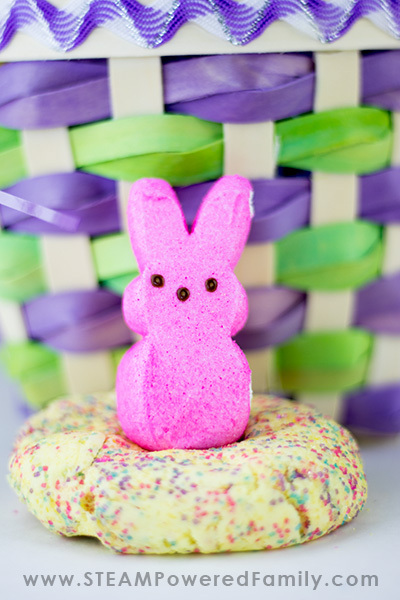 Now if you want to make this recipe without Peeps, you can just replace the Peeps with regular marshmallows. 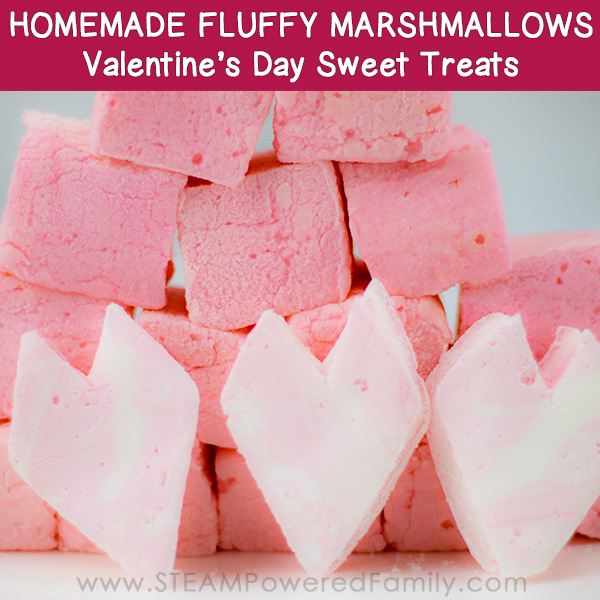 I find regular marshmallows a little less sticky, so you shouldn’t need as much icing sugar and cornstarch. 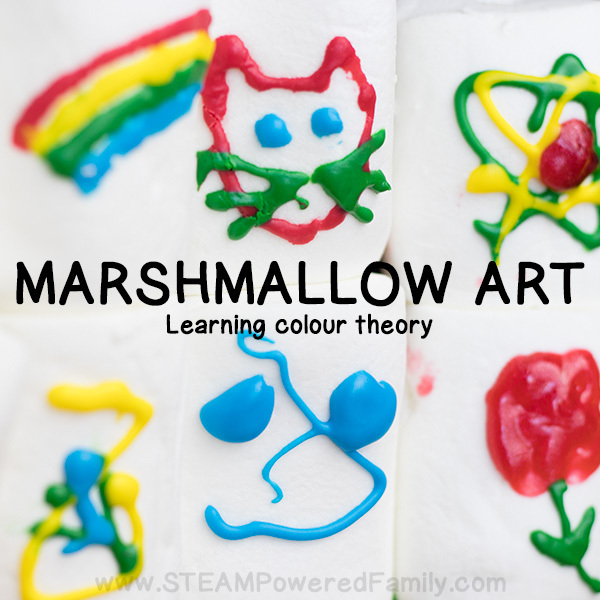 Otherwise just follow the directions as show above or check out our original marshmallow playdough recipe (without the glitter).